1. An organization or enterprising entity engaged in commercial, industrial or professional activities. A business can be a for-profit entity, such as a publicly-traded corporation, or a non-profit organization engaged in business activities, such as an agricultural cooperative. 2. Any commercial, industrial or professional activity undertaken by an individual or a group. 3. A reference to a specific area or type of economic activity. 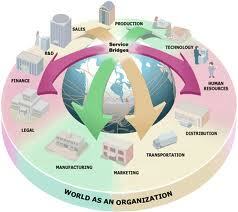 Business environment refers to the conditions prevailing in a society in which a business is to be operated. It is defined as the total of all things external to business firms and industries, which effect their organization and operation. The number and scope of environmental factors, which effect business, is broad. There should be included all aspects of our social, scientific, economic, political and cultural life which have some bearing upon business. To understand fully the nature of business, its structure, its organization and its behavior, one must look not only at the business properly, but also at the environment within which business operates. More specifically, this means that business exists in surroundings external to its direct or operating components of firms and industries. The significant elements of environment for a business house comprise persons, physical resources and climate, economic and market conditions, altitudes and laws of the land. These elements effect the course of action of the company. Business and its environment interact. In our business-oriented society, business has influenced environmental conditions probably as much as or even more than environmental forces have shaped business. The firm depends upon its environmental conditions for the resources and opportunities necessary for its existence. The environment determines the limits of the firms' activities. The environment contributes valuable resources to the business firm only if the firm provides the desired goods or services to the environment. A firm must look to public needs and attitudes remain sensitive to human values and alert to the social set up. Good businesses, therefore, are always responsive to the total environment in which they operate. The purpose of business is to anticipate desires of people and purpose goods and services accordingly to satisfy them. Let these goods and services so produced be carried effectively to the place of customers. But it is not possible unless businessman produces them at proper time and makes them available to customers at reasonable price. Hence, timing of production and reasonable price. Hence, timing of production and reasonable price of products are important considerations. Further, the intensity of competition existing in the market and the degree of marketing strategies to be adopted also are important points to be considered by a business entrepreneur. Businessmen must assess the source or sources of capital as well as the cost at which it is available. For a developing country like ours, obtaining capital is not so easy. It is definitely a problem as its availability depends upon will and capacity of people to save and invest, existence of good capital and money market, and economic and financial policy of the government etc. Operational efficiency of a business enterprise greatly depends upon the availability of labour at a reasonable price. If such manpower in the shape of skilled and unskilled workers is sufficiently available to a business according to its requirement and within reasonable wage rate, it can carry on its activities and expect profit. But to get workers at right time and at right price is not so easy. There are many factors that influence their availability. Productivity at a reasonable level depends upon how the activities are planned, organized, directed and controlled. The use of the latest production techniques, machines, manpower, and motivation and techniques of people to work sincerely and devotedly are some of the requirements to achieve the desired level of productivity. The success of an entrepreneur depends upon the quality of his imagination and skill. More he is intelligent, imaginative, and farsighted, more he is effective in grabbing the opportunity and playing his role in the economic growth and betterment of people. The competent role of managers has greatly improved the efficiency of work operation, reduced cost and enhanced capability to face challenge of competition. The science of management is undergoing a fast improvement in the light of research, study, experiences and observation. Every business enterprise is struggling to avail the benefit of intelligent, qualified, and competent managers. Market size of a business depends upon its production policy and programme. If its production target is limited, it will have a small market. On the other hand, if it has a large-scale production programme, it has to expand its market. Such business enterprises even go to international markets. Desire to expand the size of market causes them to adopt new marketing strategies and planned efforts to go as deep to different places as possible and create as many customers as it could be. In case if price level is changing fast, it becomes difficult for a business enterprise to plan its activities that would ensure a reasonable gain. Changing price, levels make the cost of capital, production, distribution, and profit unpredictable and uncertain. But still then we find entrepreneurs coming up with fair guess and estimation to make their business operate with better results and survive the vagaries of changing price levels and inflation. Government collects revenue through taxes, duties, fees etc, and spends the same on administration, public utilities like roads, bridges, canals, buildings, hospitals etc. Greater burden of taxes imposed by the government on people may reduce their ability to save and could affect investment climate. Similarly, monetary policy, which influences supply of money within the country, does also have its impacts on business activities. Central Bank of the country as controller of credit plays its role to regulate money supply together with the government. Businesses produce goods and services for people who dwell in the society. 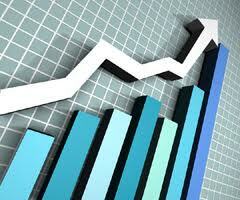 Thus the number of people, their age and educational composition has great significance for business. What a person buys or the service he consumes is a reflection of his religious and cultural constraints. Thus the cultural religious and ethnic pressures have a vital bearing on the affairs of the business. for a businessman, population growth presents both opportunities and problems. Opportunities arise from the fact that there are continually more consumers to buy business output and more workers to produce and sell it. Problems are caused by the fact that as more people want and need jobs, businesses must make them available otherwise the society will have to face the menace of unemployment. Different age groups have different demands. Young people are interested in automobiles, musical instruments, sport equipments etc. Older people may be interest in medical care and health, food etc. An illiterate population can be easily deceived. Gone are the days of the sellers society. The society where consumers are educated is the buyers society. People can well judge between good and bad and reap the economies of modern technology. Higher income people can afford to satisfy tastes that people of lower incomes cannot. Thus when the medium family income increases, the market for business products and services also expands. With increased investment in human resources, the opportunities to improve labour productivity are enhanced. The occupational shifts have been towards professional, technical, managerial jobs and in service industries. The opportunities for farm workers, craftsmen, machine operators etc, is declining substantially. Businesses have to take into account the attitudes, desires, beliefs, tastes, problems and customs of the consumers. 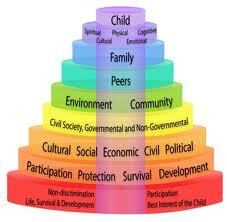 These aspects vary in individuals, groups and even nations. Americans hold attitudes like respect for all individuals, strong regard for education, faith in science and technology, belief in innovation, belief in competition, belief in an environment cleansed of air and water pollution, lovable communities with decent housing, safe streets, efficient transportation, educational and cultural opportunities. Such social beliefs have a considerable impact on business climate. The society is broken down into many kinds of groups' consumers, investors, labour organizations, managers, government's bureaucrats and politicians, religious groups, racial groups etc. In everything that business managers do, they must be alert to this pluralistic feature of the society. While the existence of so many interest groups tends to complicate business operations, they constitute a major safeguard against dominance of the society by any single interest group. There has always been a strong link between business and technology. Any business that wishes to survive in a changing world must be aware of the modern technological changes and also use technology to develop and modernize its products or services, to meet cost competition and to improve marketing. The alert businessman must not only be aware o technological changes affecting his operations and his customs, he needs to forecast the state of the art so that he will have time to use it successfully before he finds his products or processes obsolete. This he must also do so that he is the first one to put up a new product at the suitable time in the market and not lag behind which will be a degrading position in the world of competition. Political environment has a great impact on the establishment, operation, growth and expansion of business. Stable political climate makes things more certain and predictable. Businessman fined themselves in a better position to estimate future and plan their business. In other worlds, greater is the political stability, better may be the opportunity for successful business. That is the reason why we often witness flight of capital from the country where there is political instability or where policy of government frequently changes. Every business is encircled by the laws, regulations, and court decisions of the land. Almost each and every decision made by a businessman should be within the permissible limits of laws and regulations of the country. He should know that his action or decision might be subjected to a challenge in the court of law. Thus all decisions and steps should be within the framework of the law of the land. This success depends upon how he meets all legal requirements. We know that in certain cases rules and regulations may be burdensome. But they all aim at creating an atmosphere that is best suited to good conduct of business and protect the interests of customers and workers as well.